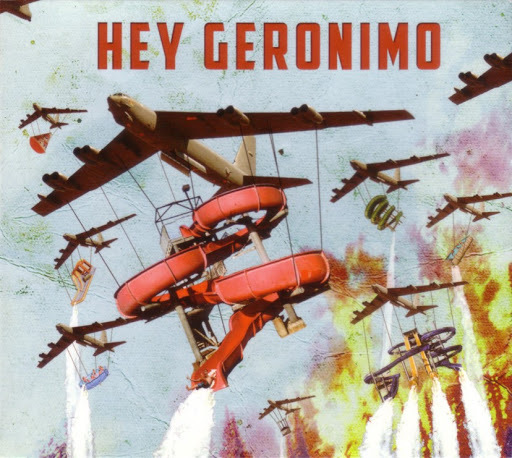 Song of the day: Hey Geronimo – "Carbon Affair"
I recently revisited the EP and was pleased that I still like it. I wasn’t going to assault your sensibilities with yet another song from the EP, but at the risk of repeating myself (any more than usual) I’m fairly keen to play you another track from it. My favourite parts of “Carbon Affair” are the 12-string guitar riff at the start, and the dreamy chorus (e.g., 0:30-0:50). Right. 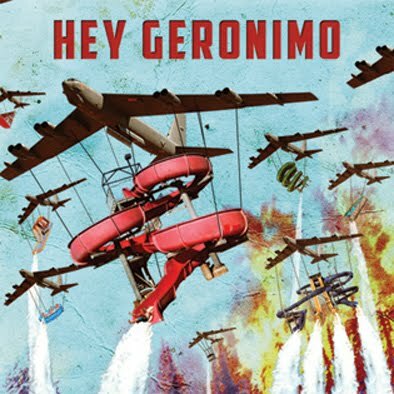 Now I’ve played you all the songs on Hey Geronimo. Song of the day: Hey Geronimo – "Co-Op Bookshop"
Song of the day: Hey Geronimo – "Dreamboat Jack"
My friend Scott (Hi, Scotty!) posted today’s song on Facebook and called it “catchy”. You’re not wrong there, Scotty. “Dreamboat Jack” appears on Hey Geronimo’s self-titled EP. (See below.) When I listened to it I thought: “Yep, I’m buying that.” Not just for the irresistible “Dreamboat Jack”, but also for early-ABBA vibe of “Why Don’t We Do Something?“, the wonderful vocal harmonies in “Carbon Affair“, the energy in “I Got No Money“, the glam of “Co-Op Bookshop“, and the Sixties psychedelia vibe that pervades pretty much every song. You are currently browsing the archives for the Hey Geronimo category.